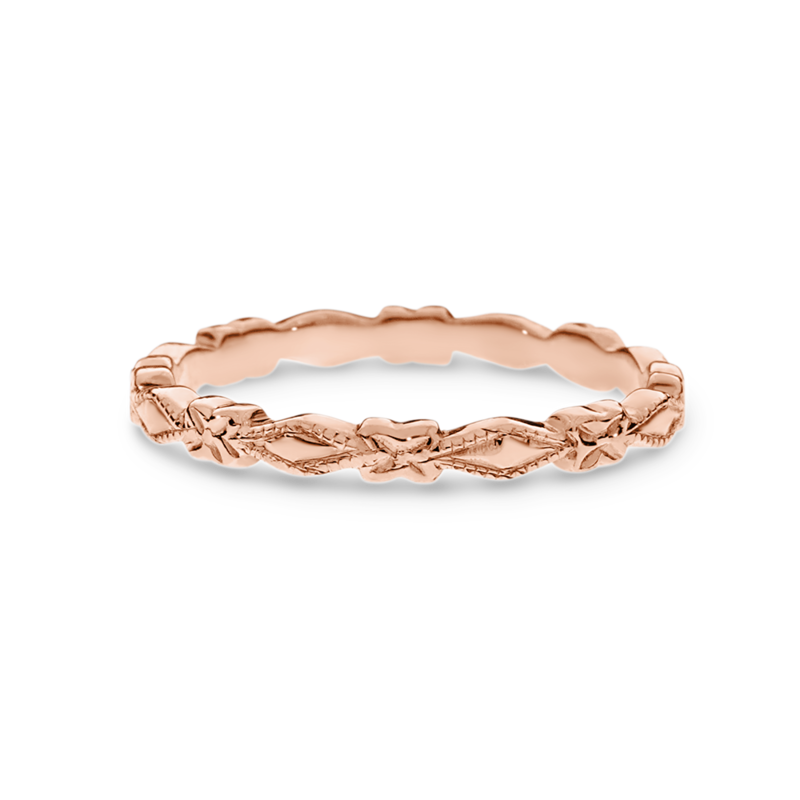 A plain rose gold ring is comprised of geometric shapes for an intriguing appeal. An ideal complement to engagement rings or to wear alone or stacked with other fine rings. Available in a range of diamond weights and in 18ct yellow, rose and white gold or 950 platinum.